Documentary in which David Morrissey reveals how the Liverpool-based theatre director, DJ and transvestite performance artist Roger Hill inspires actors, musicians and playwrights. One man inspired a teenage David Morrissey to become an actor. His name is Roger Hill. 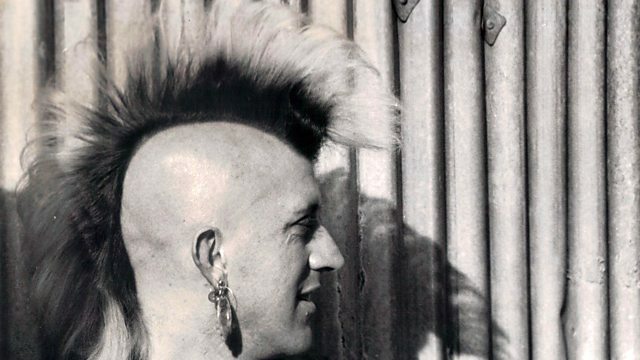 But in Liverpool, from the late 1970s to the early 1990s, he was known as the Man with the Mohican. Presenting this celebration of Roger Hill, David Morrissey reveals how the extraordinary Liverpool-based theatre director, DJ and transvestite performance artist inspires other artists, including actors, musicians and playwrights. Hill's period as director at the Everyman Youth Theatre produced an explosion of creative talent - from David Morrissey, Ian Hart, Kathy Tyson and Stephen McGann, to performance poet Gerry Potter, journalists and playwrights. Janice Long, who worked alongside Hill at BBC Radio Merseyside, refers to him as an icon and, along with former punk singer turned nightclub and cultural entrepreneur Jayne Casey, thinks of him as "Liverpool's John Peel". Roger Hill still helps shape arts policy and the next generation of actors, and continues to inspire as a performance artist. His alter ego, Mandy Romero, has travelled the world and was Liverpool's unofficial Queen of Culture in 2008. Morrissey reminisces with Hill about the long lost Mohican, hears from those whose careers he has helped to shape, and pays a personal tribute to an unsung hero of the British arts scene. A Boffin Media production for BBC Radio 4.